) button on the back to turn on your Mac mini. Step 6: Configure your Mac mini with Setup Assistant. 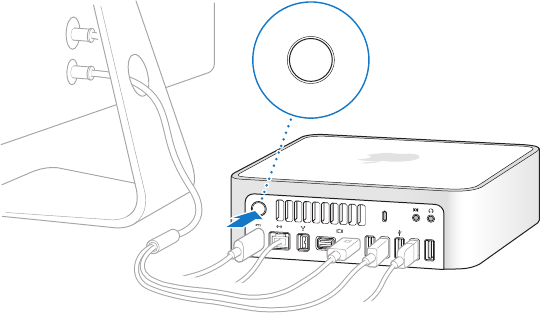 Mac using an Ethernet, FireWire, or a wireless connection.